So satisfying, crispy, ‘meaty’ and aromatic with so many ways to enjoy these traditional chickpea fritters you’ll find them well worth the bit of extra effort. Revithokeftedes are perfect with a side of horiatiko chopped salad or wrapped up in pita bread with tahini lemon sauce and sliced tomatoes – chickpea fritters are a winner every time! 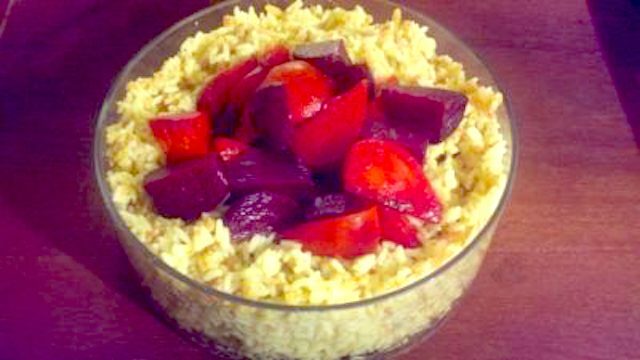 A simple and delicious, traditional way to dress up rice. 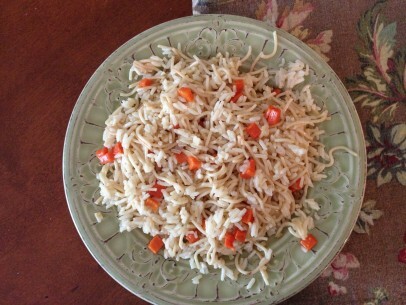 When we were little we called it “fancy rice” because the broken bits of tiny thin noodles and bits of beautiful orange carrots just seemed to make it special. 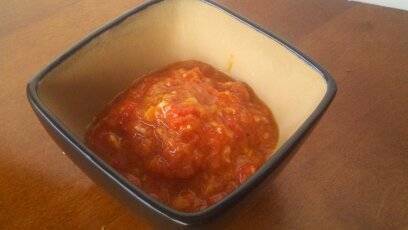 It’s a meal in itself or a lovely side dish and perfect served hot from the stove or room temp for lunch. Hosafi is a sweet, delicious treat brought to mainland Greece by refugees from Pontos in what is now Turkey. 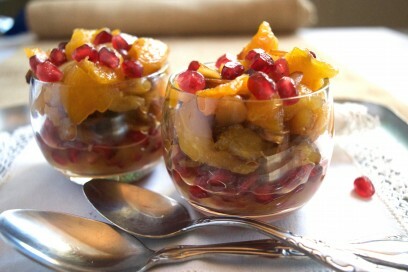 The flavors of cinnamon, cloves and cardamom seeds together with peachy, juicy apricots are an amazing combination. 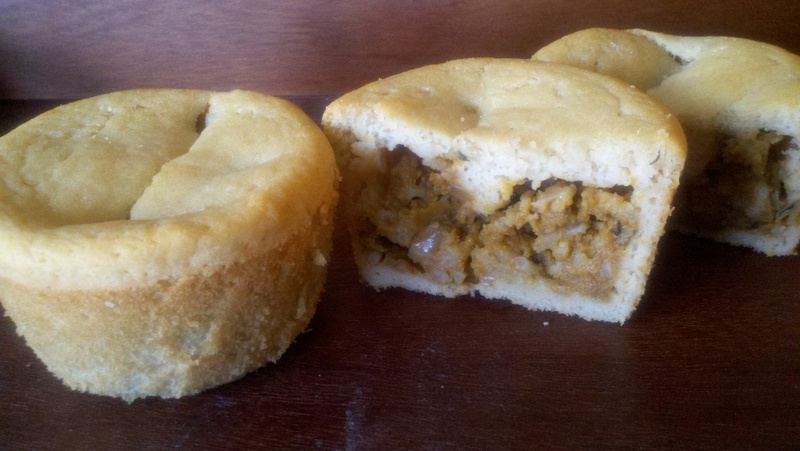 A rustic village so-tasty cornbread, bobota is amazingly versatile in both preparation and presentation. I’ve included a number of traditional variations in this recipe so you can easily make it your own. 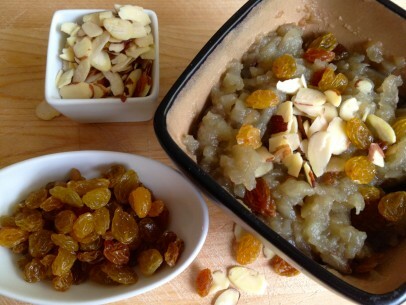 It’s the perfect breakfast, dessert or just anytime snack! 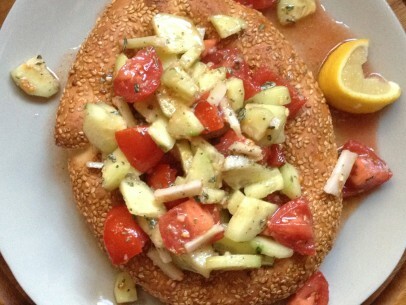 This delicious dish hails from the peach orchards of northern Greece. Growing up, we often had a bowl for lunch on hot summer days. 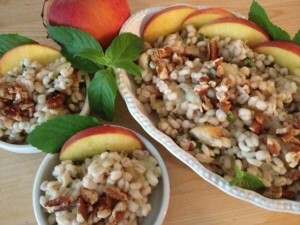 It was cool from the fridge, full of sweet peaches and honeyed chewy barley – almost like eating desert and always a treat! 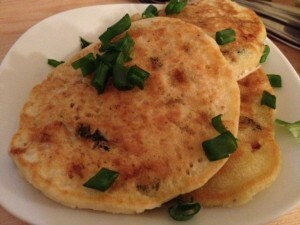 Savory pancakes are a staple in Greek cooking. A light batter with assorted vegetable fillings make these delicious, traditional tiganites (fritters) a satisfying meal or a delicious, nutritious quick snack. Once you taste these, you will never buy a store brand bag of pita chips again! 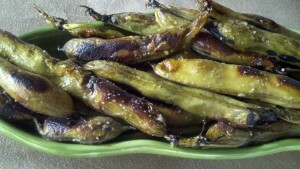 They’re quick and easy to make and are packed with spicy, salty taste-bud popping good Greek flavors. Manestra is a very traditional hearty, rich soup enjoyed all over Greece. It’s the perfect meal on a cold winter day. 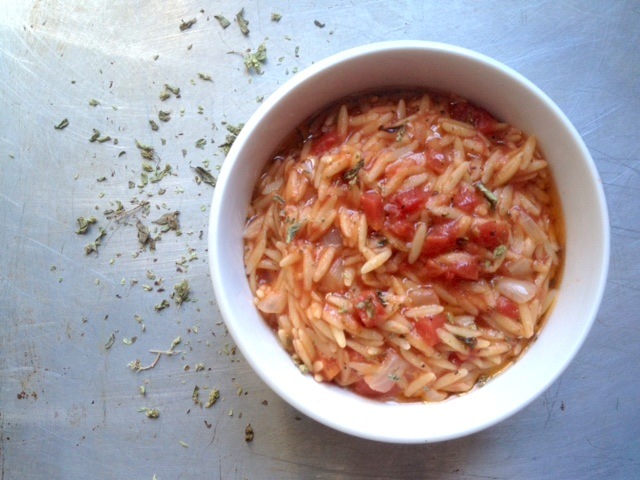 Manestra warms you with the flavors of summer sun tomatoes and fills you with buttery plump orzo. Just to warn you, it’s completely addictive so be sure to use your bottomless bowls for this dish. Think of this dish as unstuffed stuffed cabbage. 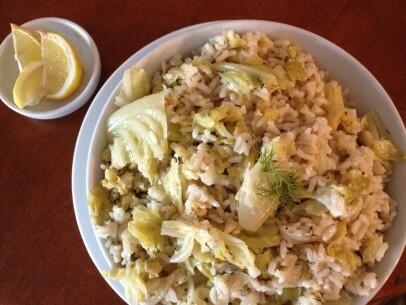 So simple to make, lahanorizo (Λαχανόρυζο) is a traditional recipe of sweet, tender cabbage, fresh dill and thyme. It’s a quick, delicious meal right from the stove and leftovers are just as good a day or two later. 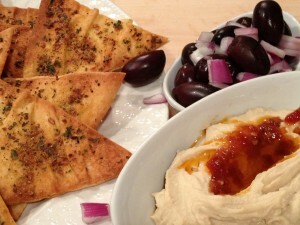 Breaking news for all you Greek vegans – hummus is not Greek! No matter how many Greek restaurants in the US feature hummus on their menus, I am here to tell you it is almost NEVER served in restaurants or homes in Greece. 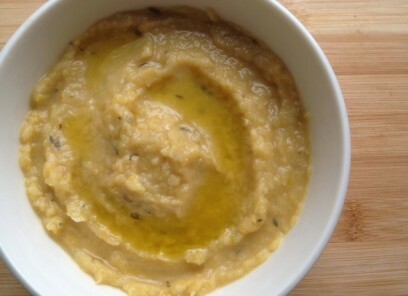 Instead, authentic Greek restaurants and families enjoy a traditional, so delicious spread made from yellow split peas called fava (not to be confused with fava the bean). 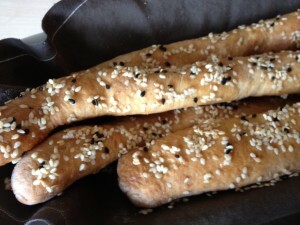 You’ll find these crunchy sesame bread sticks wherever you go in Greece. With dozens of varieties to suit every taste, some are sweet, some savory and made with everything from honey and cinnamon to zucchini. Kritsinia are delicious with coffee for breakfast or snack and are a perfect side to any lunch or dinner. I’ve always eaten this dish for breakfast. 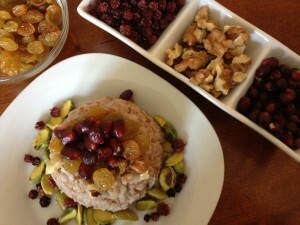 We jokingly called it Greek oatmeal and it’s still one of my favorites today! 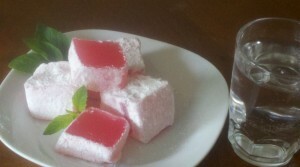 Then one day a few years back, I came across it served as dessert in a little village on the island of Chios. 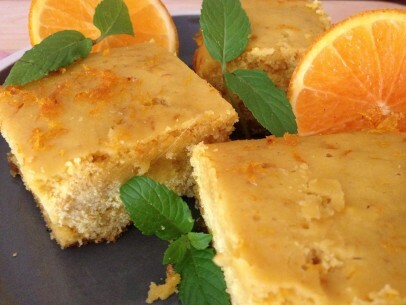 The clouds parted, the sun shone, angels sang – I could enjoy this sweet, creamy, nutty pudding any time of day, hooray! 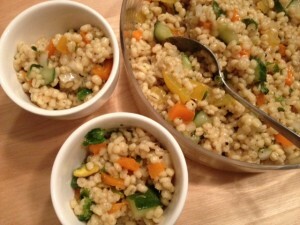 Light, lemony and so satisfying with layers of textures and flavors, this will be your favorite way to enjoy barley! Oven baked apples are one of the simplest, most naturally delicious dishes you’ll ever come across. We often ate this dish for breakfast as children. Now I enjoy baked apples more as a dessert sprinkled with cinnamon. Whenever you serve them, these baked apples will be gobbled up as soon as they hit the table! Favas are the un-bean bean. Roasted in a hot oven or on the grill, fava beans taste like – tiny little baked potatoes! 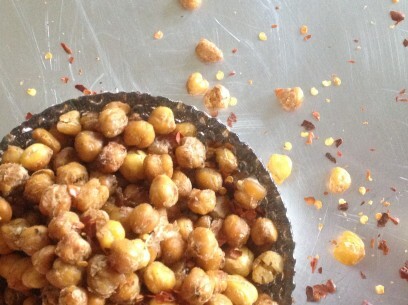 Kid you not, the creamy texture and taste of a roasted fava bean will fool you every time. I’ve grown up eating fava beans in soups and spreads but never had them roasted until I tried them in Greece one summer. My Yiayia Mary loved beets. Her grandchildren did not. So she always made us beets lightly glazed with honey (can be switched out with agave nectar!) and garlic. For years I thought that this was a variation of her own instead of a village recipe as Yiayia told us. To my complete surprise one summer in Greece, I found this dish on the menu of a small beach side cafe in Kalamata! The garden is filled with mint already – time for fresh mint tea! 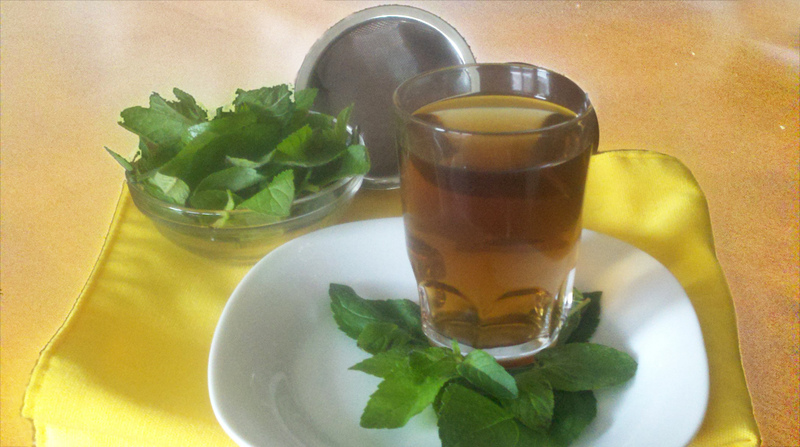 In Greece, mint tea is usually used as a folk remedy for stomach aches. Certainly that’s how I knew it growing up. I think it’s too good to save only for times when you’re under the weather and I brew it up year round. Loukoumi is a jelly like candy traditionally flavored with rose or mastic- rose is my favorite flavor! Originally a Turkish confection, it’s been adopted by Greeks as their own. You can find varieties with mixed nuts, almonds or pistachios but I’ve always been told those are more Turkish recipes than Greek. This is a traditional, horiatiko or village, chopped Greek salad. A fail-proof recipe, the fresher your veggies are here, the more delicious your salad will be. 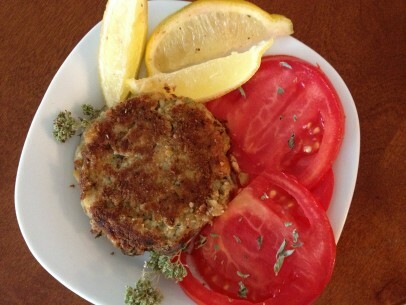 I think of it as a very farmers market friendly dish! 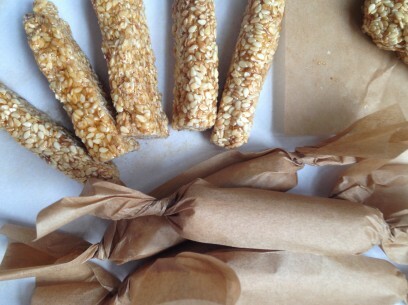 Pasteli or sesame candy is the Greek version of a power bar. Incredibly good and incredibly good for you, these chewy, crunchy bites are the perfect treat. 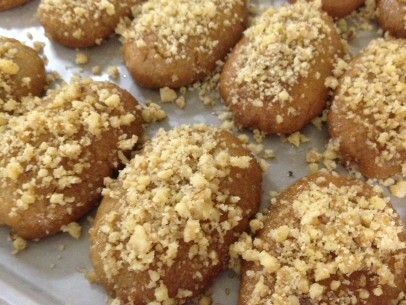 Pasteli are delicious on their own and are especially nice with a cup of Greek coffee or even chamomile tea. In addition to the traditional recipe below, I’ve also added a honey-free version in deference to those who do not eat honey or may be allergic. 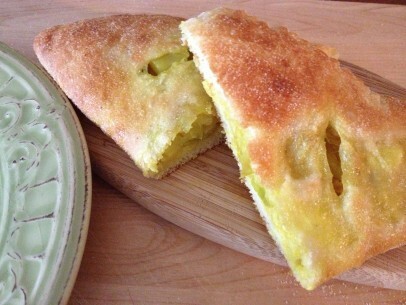 I think you’ll find that, whichever option you choose, you will fall in love with pasteli! Better than ANY ketchup you’ve ever tasted, this “Greek ketchup” is completely sugar and corn syrup free and honestly puts all other to shame. Seriously!